It’s Mental Health Awareness week (12th – 18th May 2014) and the focus this year is on raising awareness of anxiety. 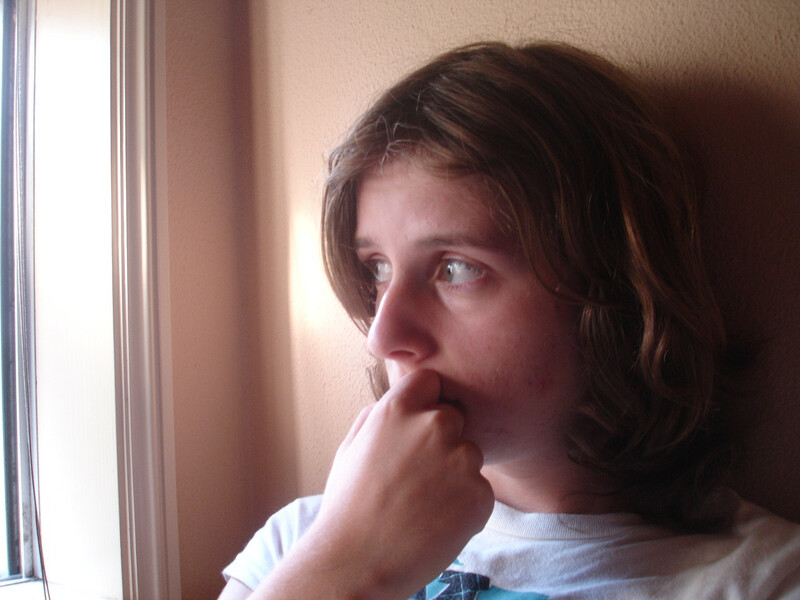 Here is some information about anxiety and some practical ideas on how to tackle it. Anxiety is a normal part of human experience – something we all feel at times. It is a normal response to stress or danger and is crucial for our survival as it prepares us for “fight or flight”. For example if a bus comes towards you as you are crossing the road, you experience fear which triggers physical changes in your body. Adrenaline is released which prepares your body to run quickly back to the kerb. You experience the sensations of anxiety but these usually subside fairly soon once you are back to safety. This “fight or flight” response can also be triggered by things that are not immediate threats to our safety but are nevertheless stressful such as attending a job interview, sitting an exam or meeting a deadline at work. A certain level of anxiety actually helps us to perform well and after the event you usually feel calm again. How does anxiety become a problem? Anxiety becomes a problem when the physical responses are triggered repeatedly giving no time for the body to relax again. An accumulation of adrenaline in the body causes you to feel in a constant state of anxiety which can be extremely unpleasant and debilitating. An example might be someone who is stuck in a stressful job over a long period of time with the threat of redundancy hanging over them. It is common for anxiety to be perpetuated by our own thoughts or actions in response to the physical feelings of anxiety. For example, if you feel pain in your chest when anxious you may think “I’m having a heart attack!” which triggers more anxiety and more physical discomfort. Anxiety can also be problematic if it is exaggerated or experienced out of context. Someone who has a phobia of spiders may experience extreme panic on seeing a spider even though there is no real threat. What can I do to overcome anxiety? 1. Calming strategies – learn ways to help yourself calm down when you are feeling anxious. Breathing techniques can help to slow down your breathing which reduces the physical symptoms of anxiety. Focusing on what you can see or hear around you can help move your attention away from what you are feeling and remind you that there is no immediate threat to your safety. 2. Reframing thoughts – our thoughts can have a major effect on the way we feel. Notice what thoughts you often have when anxious. If these are adding your anxiety try “reframing” them. For example if you think “It’s happening again – I can’t cope” try changing this to “I am feeling anxious and I’m OK”. 3. Face your fears – you may feel that you want to avoid certain places or situations that have made you feel anxious. This may work in the short term but restricts your life and leads to a loss of confidence. Aim to continue doing whatever you would usually do – don’t let anxiety win. 4. Accept your feelings – anxiety is unpleasant and you may want to avoid it at all costs, but fighting anxious feelings is counterproductive. It’s far more effective in the long term to find ways to accept and make room for the physical feelings you are experiencing. Over time you will no longer be afraid of feeling anxious and this will help break the cycle of anxiety. Mindfulness techniques can be very useful in helping you to do this. 5. Talk about it – anxiety can cause you to feel isolated and depressed. Don’t suffer in silence. Talk to friends and family or a counsellor about what you are going through. Anxiety has more power over you if it remains your hidden secret. Naming it out loud can help to diminish its hold over you. 6. Look after yourself – regular exercise and a healthy diet support your body to cope with anxiety. Avoid alcohol and caffeine which can raise your anxiety levels. Be kind to yourself and do things you enjoy and find relaxing.